Paragon App - Paragon School of Sporting Inc. 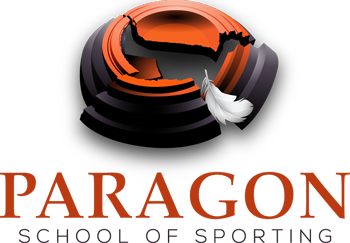 The Paragon School of Sporting has made a Free App that you can add to the homepage of your mobile device! This special App is designed with you in mind. Sporting Clays and Wingshooters who want to shoot better and more consistently. Adding the Paragon app to your mobile devices provides you with continually updated, easy access to Dan Schindler's Shooting Tips as well as his Blog and much, much, more! If you have any questions or please let us know right away! 2. At the bottom of the screen you'll see an icon depicting an arrow that looks like it's trying to get away from a square. 3. Tap that button; you'll have a few options, including a square with a plus sign in the middle, labeled "Add to home screen." 4. The Paragon icon will appear above the URL. Click "Add to Home Screen" in the upper right-hand corner, and the direct link to all things Paragon will appear on your home screen. 1. Click on "Get App"
3. Tap on the browser's built in menu (usually three lines in the upper right) OR the phones' built in menu option (Samsung phones) which is usually three lines on the device to the left of the home button.